Attachments Australia proudly sells and services the line of Okada OSC Series Pulveriser. This piece of heavy machinery attachment is perfect for a variety of hydraulic equipment and job sites. Below you will find some of the main features and benefits that you can get with the OSC Pulveriser Series by Okada. This attachment gives you an unrivalled crushing force with a short cycle time. The geometric design behind Okada’s machinery converts cylinder output to crushing force in a manner that is constant and unmatched. The Okada crushing teeth combine pulverising wedges with cutter blades in order to efficiently take care of reinforced concrete. Expect to be met with exceptional productivity, due to a large jaw opening and a larger crushing area. In addition, there is a pressure relief valve that is standard and built-in so you can protect the attachment against overload. Despite its superior abilities, the OSC’s incredible design and materials lend itself to a lightweight, high tensile strength steel box structure. In addition, the hydraulic cylinder is located in the frame and the OSC is built with a cylinder rod protector, protecting the rod from exposure to concrete rubble. This means you get a light machine with extreme durability. 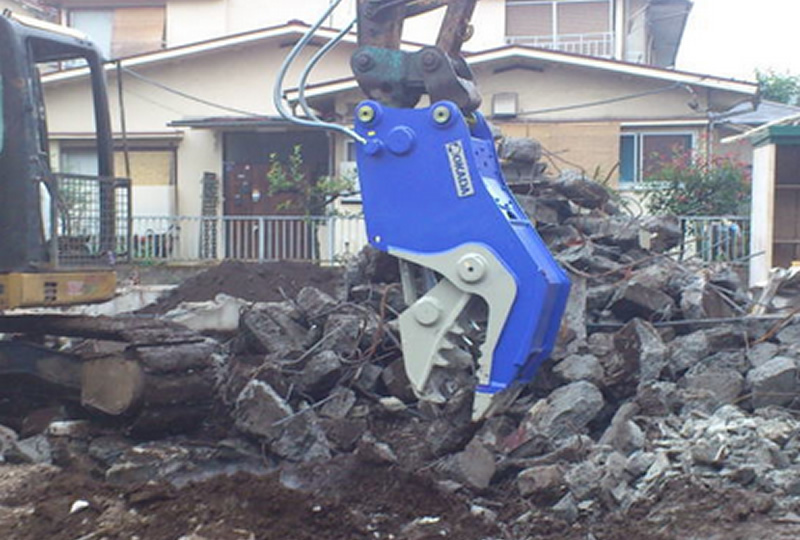 Attachments Australia are the experts when it comes to demolition attachments. For a quote on our Okada range, get in touch with us today by calling 02 9622 9930.